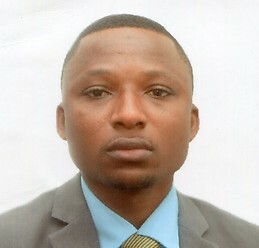 I am a very warm and friendly individual from Ghana in West Africa. My background is in Agriculture and Entrepreneurship. I have lived in Ghana from childhood till this age. I am very versatile, dynamic and goal oriented. I have a character in between that of an extrvert and that of an introvert. I am very loyal and care about other peoples' feelings. I am a christian and a strong believer of Jesus Christ and I am a pentecostal. Having grown up in some of the remotest areas in Ghana, I easily adapt to situations both comfortable and uncomfortable as well as in-between. My first degree is in Agriculture with a major in Agribusiness management from the premier university of Ghana. I am a strong believer in myself and my personal worth, not easily intimidated, highly motivated individaul with a high sense of confidence. Always on the look out for new opportunities to take advantage of without disregard for other people's interests. I respect every individual that i come accross. I take personal hygeyeine very seriously and this applies to where I leave. I love taking initiatives and always want to stand out from among my peers and so some times, my friends consider me as beeing self-centred, but i see myself as trying to be the best of myself. I have been admitted into Ecole Nationale Superieure de Formation de l'Eseingnement Agricole in Toulouse to pursue Master of Science and Technology Agrofood Chain and im looking for a studio appartment for myself. I intend moving in on the 7th of September, 2018 till the same date in 2019. Please contact me with information. However, I do not have the ability to secure a guarantor for myself.